Whispering Angel 2015- Chateâu D’esclans Provence. 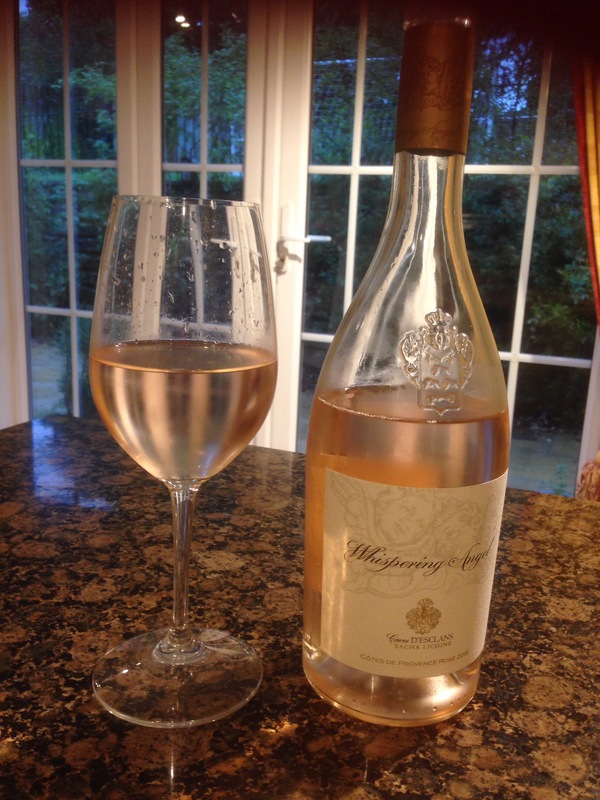 Author Just Delight MePosted on 31/05/2016 01/06/2016 Categories Delicious VinosTags chateau d'esclans, Provence, Rosé, whispering angel, winesLeave a comment on Whispering Angel 2015- Chateâu D’esclans Provence. The Long awaited Jolie-Pitt Rosé. Miraval 2014. Provence. 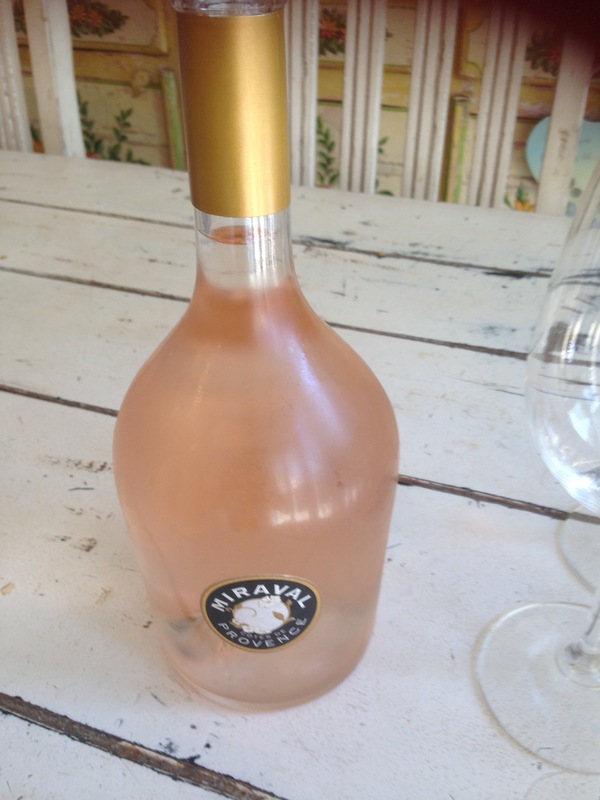 Author Just Delight MePosted on 08/05/2016 09/05/2016 Categories Delicious VinosTags Jolie-Pitt, Provence, Rosé, wine1 Comment on The Long awaited Jolie-Pitt Rosé. Miraval 2014. Provence. 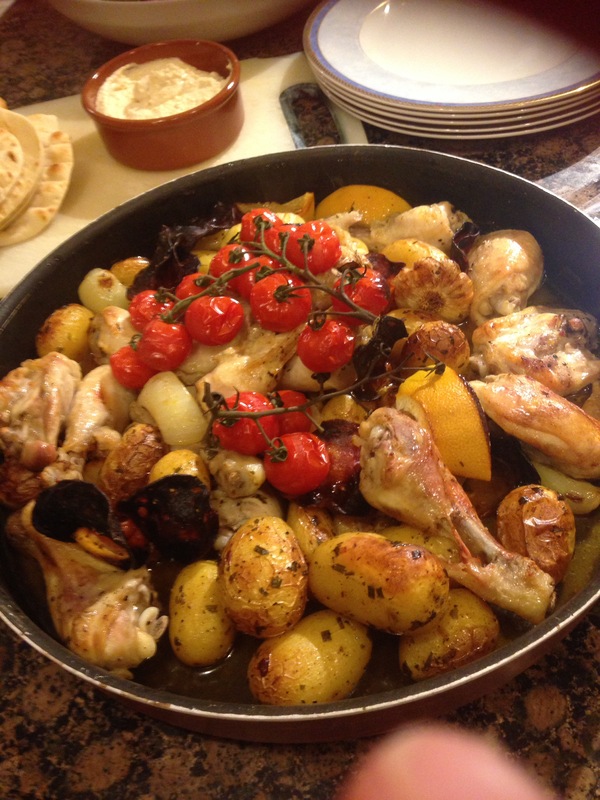 Spanish chicken & NZ vino… Why not?! It’s Bank holiday, it’s sunny so I feel obligated to indulge in some Rosé. 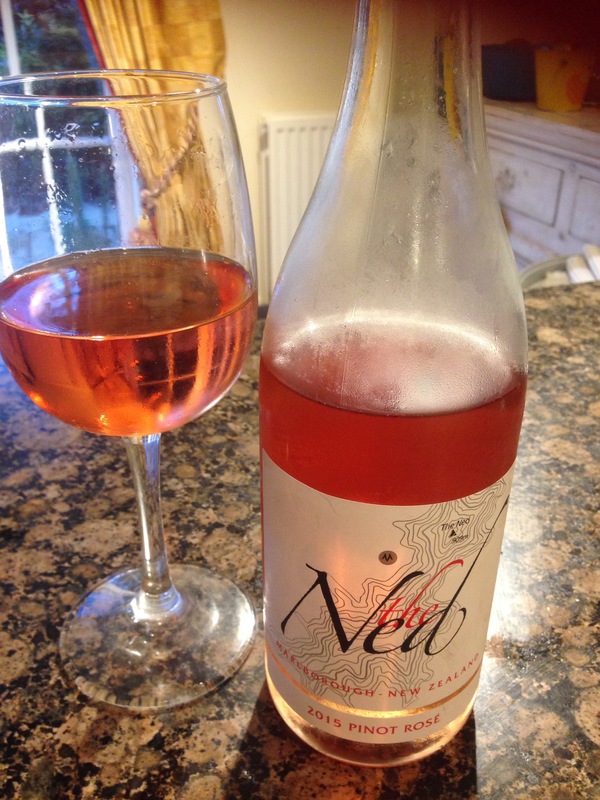 I spied The Ned Rosé in Majestic wine when I bought some of my much loved Pinot Grigio, (see earlier post) and felt that one should crack it open. I really love the freshness of all of these wines from Marisco wine makers in the glorious Waihopai Valley in New Zealand. This fine specimen was bottled last year, worth its £10.99 in my opinion and can be drunk with a nice light dish such as my Spanish Chicken with Mediterranean flavours or just by itself. The colour is vibrantly gorgeous, creamy with depth and bursting with cherries and raspberries whilst still remaining quite dry. 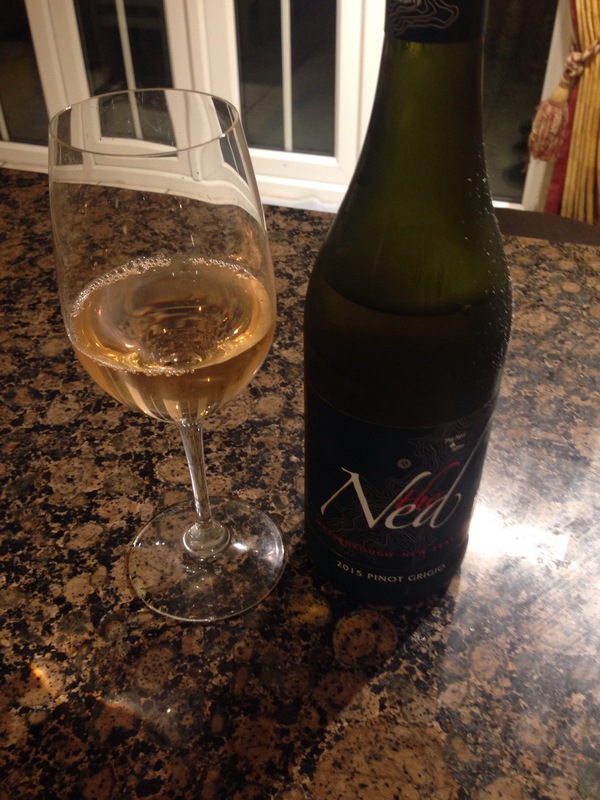 I am such a wannabe ambassador for The Ned Vinos and if asked would of course make myself fully available for jaunts to New Zealand for research purposes naturally. To accompany this vibrant vino, my well worn recipe of Spanish chicken is perfect. (Serves 4-5). Take 10 chicken thighs and place in a large dish. Add 2 roughly chopped onions, one garlic bulb sliced in half. To this add juice of 2 lemons, then chuck in the lemon skin. Slice up 200gms chorizo, cut in half 400 grams of New potatoes add both in with a good dollop of Olive oil, and season. For colour towards the end of cooking add some on vine cherry tomatoes. The best thing about this dish is that it’s so low maintenance. Put in the oven for 45 minutes on 170 degrees centigrade. Serve with a nice green salad and some good bread to mop up the delicious chorizo and lemon juices. Enjoy! Author Just Delight MePosted on 02/05/2016 02/05/2016 Categories Delicious Vinos, Rustic recipesTags Rosé, Spanish Chicken, The Ned RoséLeave a comment on Spanish chicken & NZ vino… Why not?! Delicious Vinos- Château Ksara Clos st Alphonse. Bekka Valley 2012. I’m a true ambassador for the Middle East. I would so love to see more wines being produced one day from the regions where I guess it could be embraced. One thing is for sure, the terroirs and climates are wholly suitable. Naturally of course priorities in the region do not manifest in growing grapes. Lebanon however for me have just been getting better and better over the years and this year in particular there seems to be more awareness and penetration. I was delighted to stumble on this particular wine in Marks and Spencer and snapped up a bottle at a very reasonable £10. The 2012 Clos St Alphonse is a wonderful example of a well rounded and really beautiful wine. All three grape varieties really shine through in equal measures, the silkiness of the Syrah, the warmth of the Cabernet Sauvignon and clay undertones of the Cabernet Franc. These grapes one can imagine being the best of friends as they gel wonderfully together. In all honesty this is going to be my midweek quaff from now on as it hits all my delighting criteria and très reasonable. Mabrook! 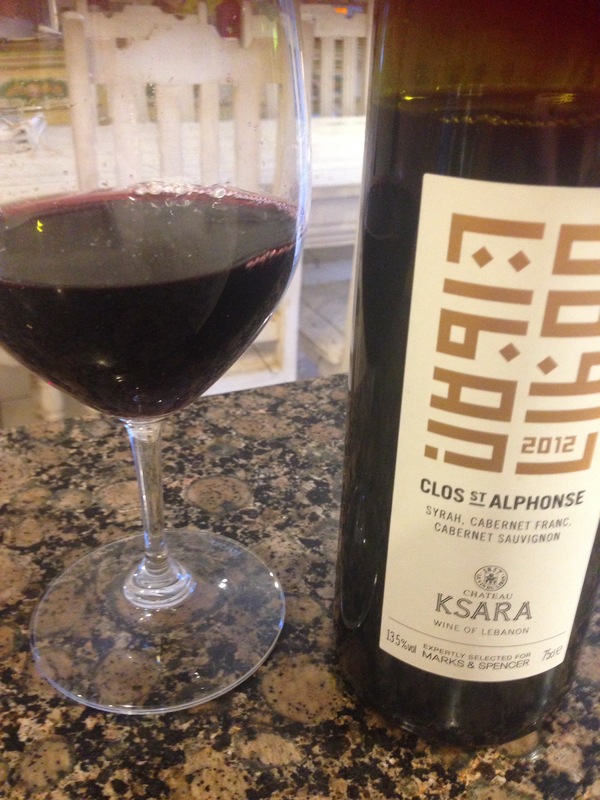 Author Just Delight MePosted on 17/04/2016 Categories Delicious VinosTags Bekka Valley, cabernet franc, cabernet sauvignon, Château Ksara, Lebanon, Red wine, syrah, wineLeave a comment on Delicious Vinos- Château Ksara Clos st Alphonse. Bekka Valley 2012. I just love a good Gewürztraminer, scrap that my lovelies, I adore it. I cease to be failed by this fragrant little number. The one I am currently blogging about is Marks and Spencer’s version 2014 Baron de Hoen. In one of my earlier posts I talked about Strasbourg in The Alsace region when I was bleating about one of my recipes ‘Chicken Strasbourg.’ At risk of repetition, I will say again and only once that the Alsace region of France is exquisite to say the very least. Gewurztraminer, I have recently found myself falling in love with again after a very good friend of mine sent me a case as a thank you for helping her. I had probably until that point not drank it for around a decade. Not too sure why, other than looking for new things, and preoccupation with other exciting wonders. Anyway, the case was quoffed pretty quickly, and gave me the incentive to put it back firmly on my shopping list and never neglect it again. For me Gewürztraminer makes a great aperitif as the flavours are very powerful and distinctive of Lychee, freshness, rose petals coupled with the colour being golden like the locks of a strawberry blond elegant lady. The wine also pairs well with a strong feisty dish, capable of holding its own in the food and drink arena such as Chinese, Thai or perhaps some Game. 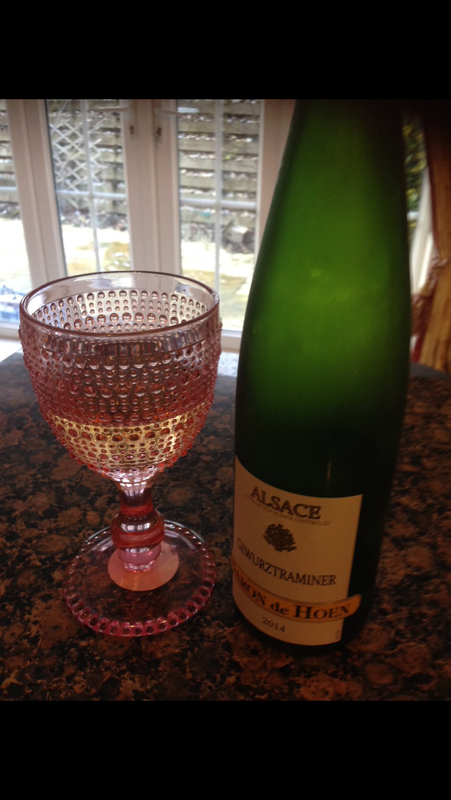 This wine is from the Beblenheim area of Alsace in the Northeast of France. Alsace as mentioned has a distinct identity and for me should sit firmly on bucket lists. Gewürztraminer M&S, you are my induction back in the Gewürztraminer fold, I am going to sadly have to be flirtatious with others to find out other key identifiers that set you all apart. It will be an arduous journey, but someone has to do it. 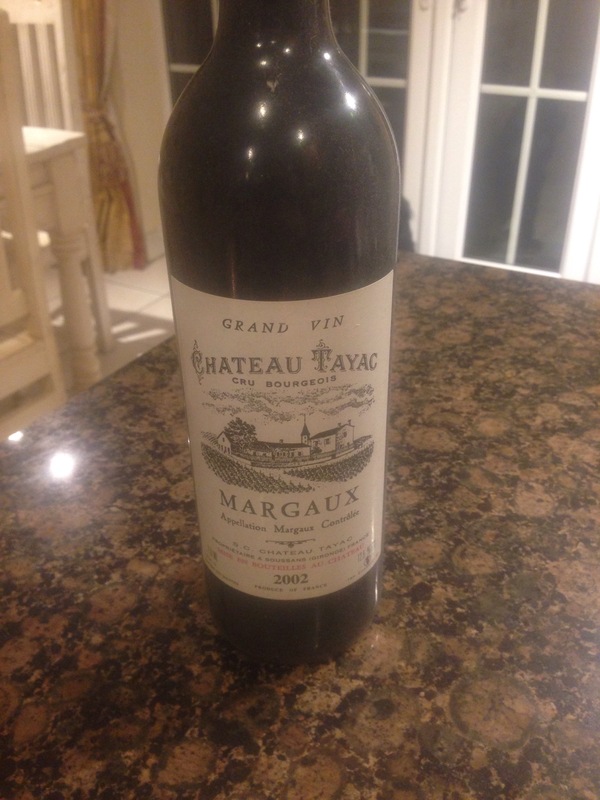 Delicious Vinos-Chateau Tayac Cru Bourgeois Margaux 2002. We have six bottles of this little beauty, and after googling it and discovering that one cannot buy it wondered if I should opening it or flogging it. I decided on the former due to the fact that I’ve been drinking far to much mediocre vino lately and deserved a little treat. My father in law purchased this little stash who very sadly is no longer with us. I lit a candle, put it next to his photo, poured a little glass for him too and raised mine to his honour. My father in law (Fouad), was a lover of all wonderful things. Fine wines were one of his passions alongside treating his family every year to a holiday in Provence en mass. Being a middle eastern family, things never ran smoothly especially when we used to traipse around Cannes looking for a table of 20 most evenings. Caution to the wind is how we lived on those holidays and wonderful they were. I’m going off piste here, so down to business……this wine is a Bordeaux blend, silky, distinguished, luxurious, wonderfully classy with thin tannins. The 2002 is a divine example and literally went down a treat last night. So moorish in fact that it felt like it had evaporated. I had to share the bottle but could have happily drank the entire bottle plus more I guess. I doubt though that I would be feeling so bright this morning as I do. At 12.5% abv it was just perfect in fact- no grogginess for me. The wine is made from grapes from the Soussan commune in the Margaux appellation, and the chateau itself has had a renovation of sorts providing stunning brand new oak casks. Not sure if that was pre or post my wine but the clarity was just spectacular in any case. Highly recommended by me if you can get some….. Cheers to you Foufou. Author Just Delight MePosted on 13/03/2016 13/03/2016 Categories Delicious VinosTags chateau tayac, france, MargauxLeave a comment on Delicious Vinos-Chateau Tayac Cru Bourgeois Margaux 2002.